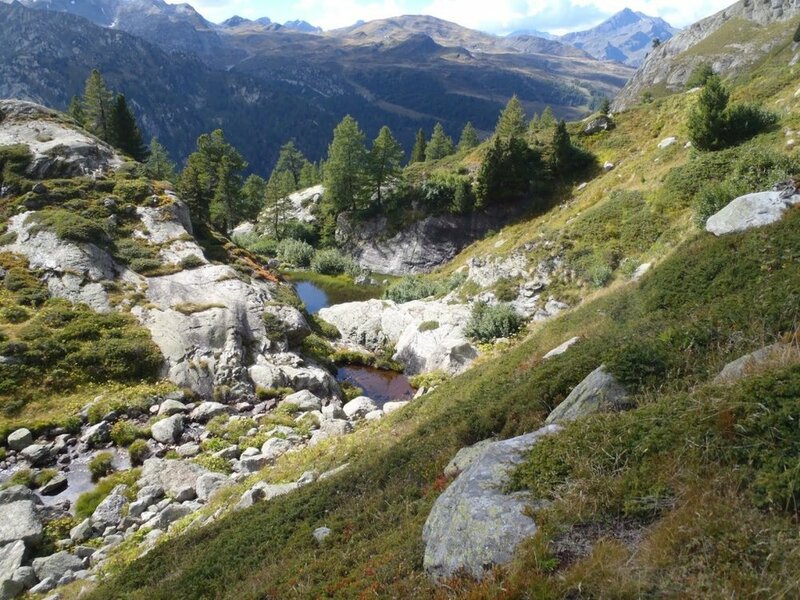 Our founder, Craig Slagel, won the Arroyo Facebook Photo Contest a couple of months ago for his picture Running in the Italian Alps during Tor des Geants in Valle d'Aosta! This brought back memories from his race 5 years ago and we thought it’d be awesome to share them and inspire you to sign up for it later this year! The Tor Des Geants or Tour of the Giants is a race of its kind - a total of about 205 miles and spans across almost 25 mountain passes, 2 natural parks, about 30 alpine lakes and not to mention the varied seasons. While it is a gruelling race that tests your mental limits especially with an almost 24,000m elevation gain in total, it also makes for an awesome and relaxing run giving you a tour of the best Italy has to offer! What inspired you to sign up for the Tor des Geants? Craig: When I ran the Ultra-Trail Du Mont Blanc (UTMB) the year before, someone had mention this race to me during the race. I was blown away by the pictures so I talked to another ultra running friend and we both decided to sign up. I had run 200 miles before, but never in the mountains. This seemed like a good challenge at the time and I wasn’t disappointed. It's known to be extremely technical and unique. How did you train for it? Craig: I ran as many hard ultras as possible - this included multiple 100 mile races. However, I didn’t account for how hard and how much hiking would be required. If I ever go back, I would do much more mountain hiking and climbing to prepare. The picture that you shared on the Arroyo photo contest was taken at Meadow Deffeyes. Do you remember what went through your mind as you were taking in that view? Craig: "Wow!, this was the view from the second of the 25 passes I had to climb!" I was also happy to stop and take a picture after a few hours of climbing. What surprised you the most about this race and what have you learned about yourself? Craig: It was about 3 times harder than I had expected it to be. I had raced Hardrock and UTMB - two of the hardest 100 mile races in the world but this was much, much harder. I wanted to quit multiple times, but the view was so amazing, and I don’t like quitting. Finally at 280 miles, I was in last place, I had sprained my ankle, and I had hardly slept over 5 days. Just as I was about to quit, I saw there was a TV crew filming me - I couldn’t quit on TV, so I kept going. Its amazing how ego can keep you going. About 17 hours later I finally finished, its one of my proudest moments. What are some key memories? And how has the race shaped your choice of Destination races following it? Looking back, would you have done anything differently? Craig: At 280k, I ran into my friend Angela Pierotti, we only met at the start but became friends before and during the race. She was having knee problems and also wanted to quit. We decided to leave together and get through the last section. Without Angela I don’t think I would have been able to get through that last day. We were both so tired and hallucinating. Eventually we got to an aid station desperately in need of sleep. They had a van with some foam pads, we got a little sleep in there. I’m sure it was a van, Angela is sure it was an ambulance. [iframe src="https://routes.rungoapp.com/embedded/EKqV6OXPkV?units=km&maptype=road&basicmap=true&elemap=true&directions=true" name="Tor des Géants" width="100%" height="600"] The race takes place Sept 12-18 2016. Check out the Tor des Geants course and don't forget to sign up this year!